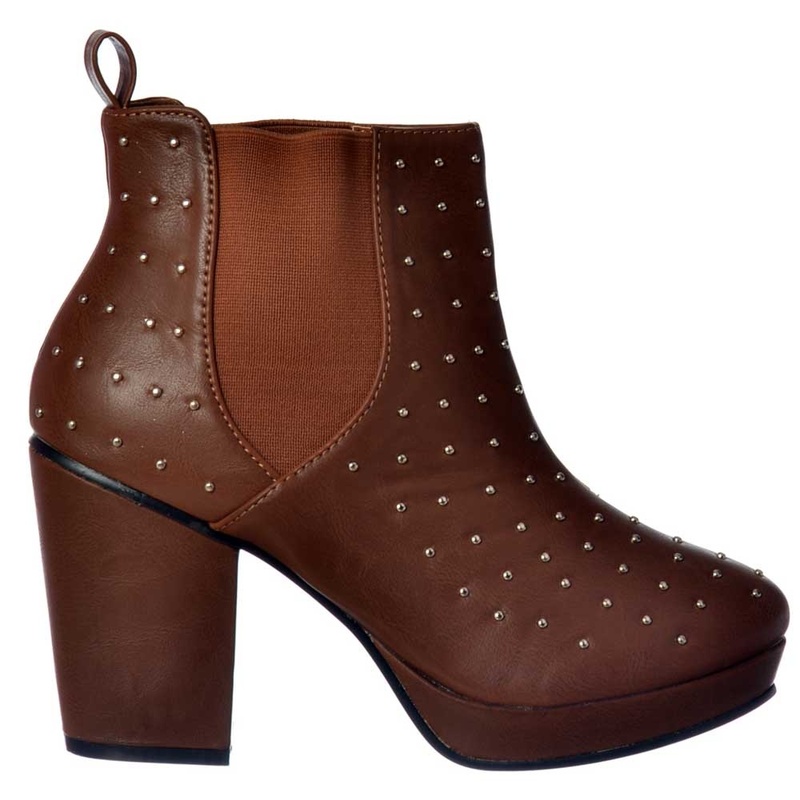 This Modern Styled Chelsea Ankle Boot Enjoys a 3.75 inch Block Heel Which Compliments a Small 0.75 inch Platform. 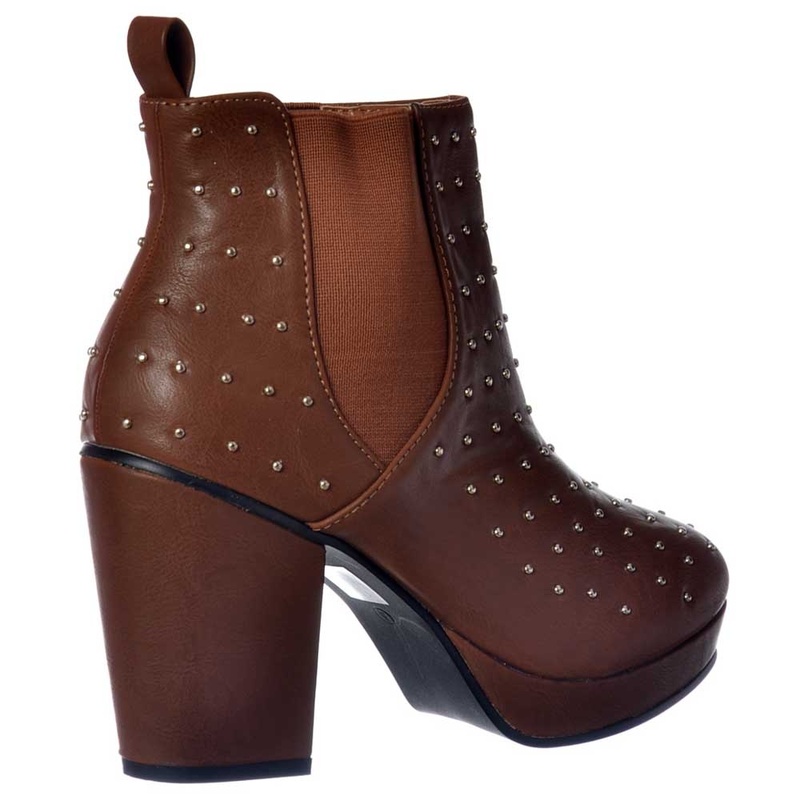 The Boot Stands 7.5 Inches in Height Overall . 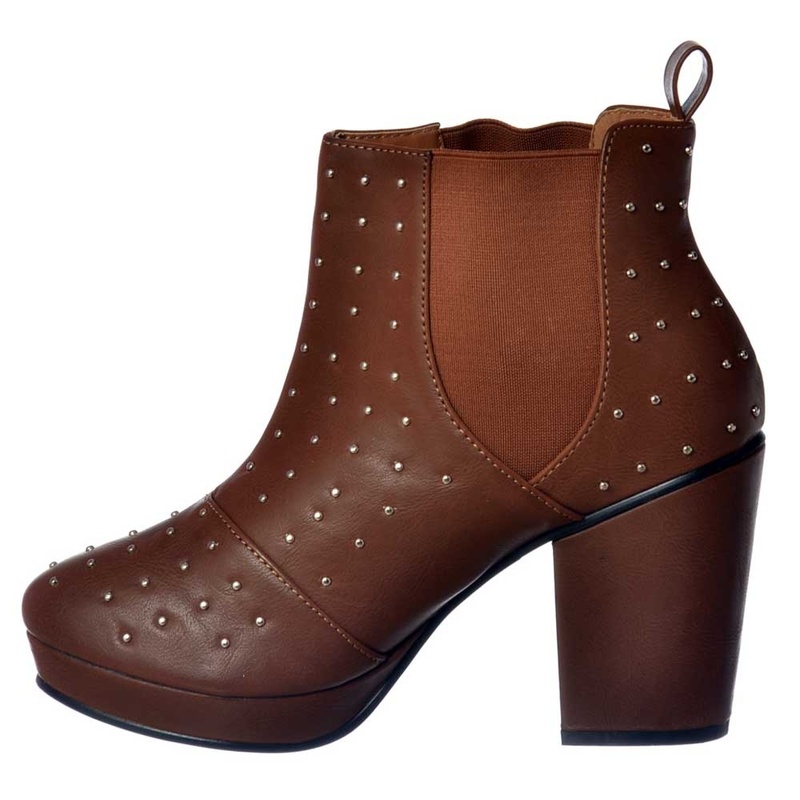 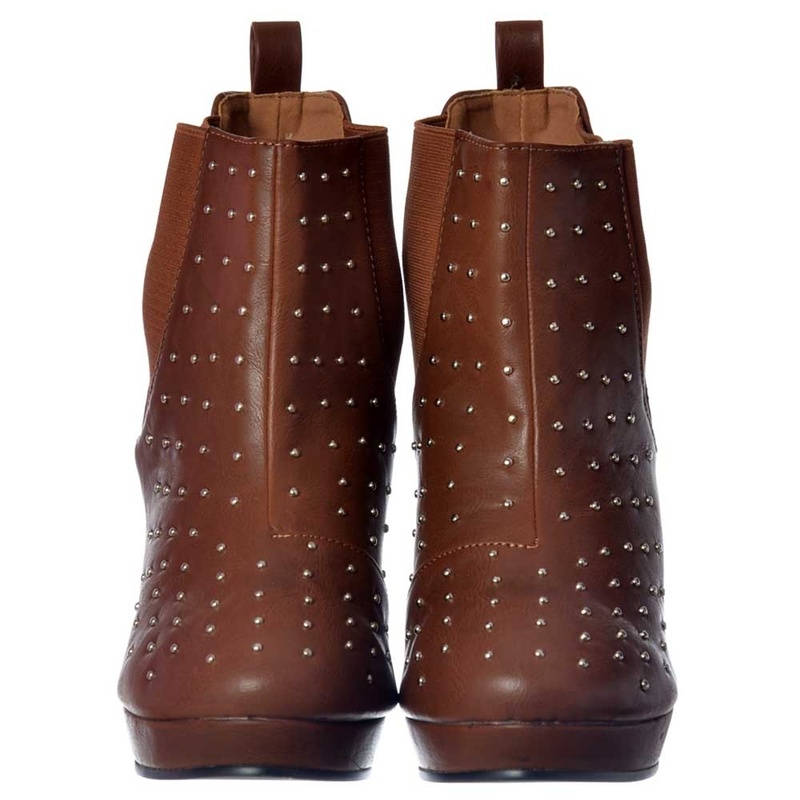 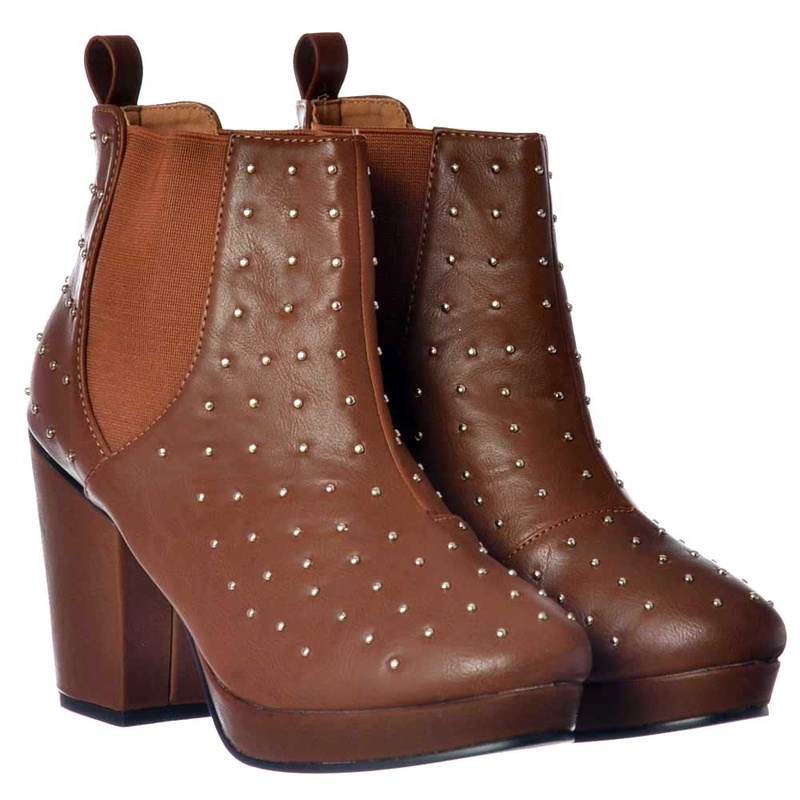 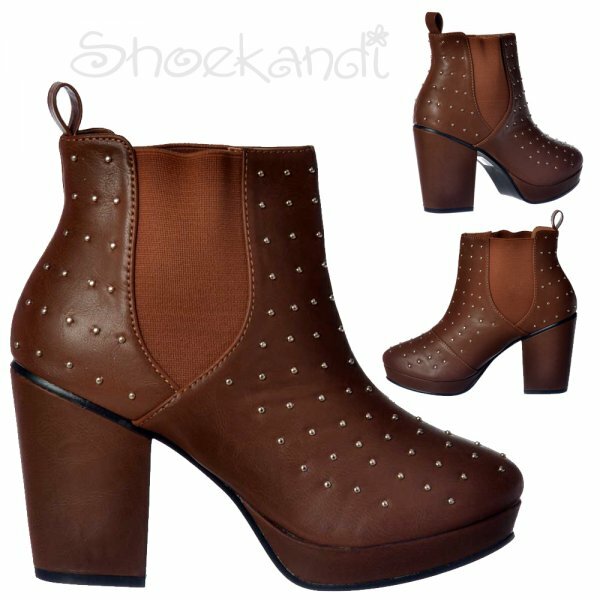 The Tan Synthetic Leather is Exquisite and Features Beautiful Small Silver Studds All Over the Boot.